The Ryder Cup consists of Four Ball, Foursomes and Singles matches. There are four Four Ball and four Foursomes each of the first two days. On the third day—Sunday—the Ryder Cup consists of singles matches. Foursomes consist of two teams of two, and only one ball per team. It’s sometimes also known as “Alternate Shot.” Players alternate shots and alternate on tee shots. As in any match play game, the team with the lowest score on each hole wins that hole for the team. A “Four Ball” match sometimes also is known as “best ball.” Like foursomes, four ball is played in teams of two. In this format, each team member plays his own ball throughout the hole. Four players; four balls. Then, at the end of each hole, the team’s low score is counted to determine who wins the hole. There is a great deal of strategy involved in playing these events—particularly for the coach, or captain. As a golf coach, I was faced with a fundamental dilemma whenever my team had to compete in a match play team event: do you combine players with similar, or contrasting skills? In a foursomes, the first instinct is to combine players with dissimilar, but complementary skills. You might, for example, combine a long hitter with a short game specialist. Taking a look at the course, a coach then can identify the hole that confers the biggest advantage to the long hitter and assign him to tee off on that hole. This then determines who tees off on all the others, since tee shots are alternated between team mates. The problem with this, however, is that it takes a player out of his usual game. If the bomber is used to taking wedges into a green, he will be uncomfortable hitting a longer iron after a wedge-and-putter player’s tee shot. So, the other approach to foursomes is to combine players with similar styles. This ensures that players generally are hitting shots that are familiar. On the course in foursomes, team mates must be constantly aware of the other’s abilities. Each must ensure that his shot puts the other in a position that plays to their strengths. It’s not simply a matter of hitting the best shot that he can. For example, Phil Mickelson might be able to reach a par 5 in two. In doing so, however, the risk is that the ball ends up in a greenside bunker. If his partner is a sand wizard, that might be an acceptable risk; if not, he should lay up to his partner’s best distance. Four Ball is a somewhat easier game on the coach. There, I usually combined players with different skill sets, on the theory that each hole would play to at least one of their strengths or weaknesses. Another way of pairing players is by style. It’s often advantageous to pair a gambler with a cautious player. One can go for birdies, while the other plays for par. On the course in a four ball match, the partners need to keep a good eye on how the other is doing. If player A has hit a ball to a safe spot, his partner might be able to attempt a riskier shot. If the risk fails to produce reward, the other player at least has a good chance. I like this format because played well, it encourages a gambling style of play. Match Play can be conducted either in teams or as individuals. The Ryder Cup uses both. In Match Play, golfers are concerned—not with the field—but with beating the players they are playing against directly. The most confusing part of Match Play is in the scoring. Each hole in a Match is a separate event, and is taken in isolation. The team or player who finishes the hole in the fewest strokes wins the hole. The one who wins the most holes out of eighteen wins the match. The hole-by-hole format means that it’s possible (and probable) that at some point short of eighteen, one team or player will get far enough ahead that the other has no chance of winning. For example, if the Euro and American teams finish the 16th hole, and the Europeans have won three more than the Americans, there is no need to continue. At best, the Americans could win both remaining holes, and still would be one hole down to the Europeans. So the match is called at 16. The final result would be Europe 3 and 2. That means that Europe won because they were up by three holes, with two holes left. If a team wins 1-up, that means that the match has gone to 18 holes. The last hole was played either because the match was all square after 17, or because a team was only 1 up, and the other could have made the match All Square on the final hole. The term “Halve” is used when players tie on an individual hole. However, because tied holes are not counted in scoring an individual match, you’ll never see a score like US 3 1/2 Europe 1 1/2. This also explains why there will often be a result where the holes just don’t add up. The US could win four holes, the Europeans win three and they could tie the other 11. If you just added up the number of holes won, it would look like they didn’t play a full match. A “Dormie” is when one is up by the exact number of holes left in the match. At this point, the best the opponent can do is to tie. So, if they’re on the 16th tee, and Europe is 3-Up, the match is Dormie. The best the US can do is to win the final three holes (16, 17 and 18)and make things All Square. One seemingly strange score occurs when a player or team wins 5 and 3. On the surface, it looks as though the match should have ended with four holes to play, because one was up by five. But what actually happened was that the match was Dormie with four to go. That is, the US was 4-Up on the 15th tee (four holes to go). At this point, Europe can Halve the match by winning the final four holes. But the US wins the 15th, and the match is over. The US wins by five, with three to go, or 5 and 3. Another interesting aspect of Match Play is that the players do not have finish every hole. Consider the following situation: Phil Mickelson hits a hole-in-one on a par three. Padraig Harrington hits the green within inches of the cup, but the ball does not go in. At this point, there is no need for Harrington to finish the hole, and he will concede to Mickelson. Even if Harrington finishes with a birdie, he still has lost the hole. And there is no need to see if Harrington can make the putt because unlike Stroke Play, the score does not carry over to the next hole. Similarly, players often will “concede” a stroke. This usually happens on a short putt. For example, if Mickelson knows that Harrington is going to make the tap-in, he might grant “gimmie.” The real question for that hole is whether Mickelson can make the 12 footer to win the hole, or if he two putts for a halve. There are also a couple of other major rules differences in Match Play. For example, in Stoke Play, if you play out of order, it’s just a breach of etiquette. But in Match Play, your opponent can force you to replay the shot. The other major changes generally have to do with the penalty for breach of rules. In Stroke play, most of the penalties involve the addition of strokes. In Match Play, the rules violations generally involve the automatic loss of the hole. For my money, match play is the most exciting form of golf. 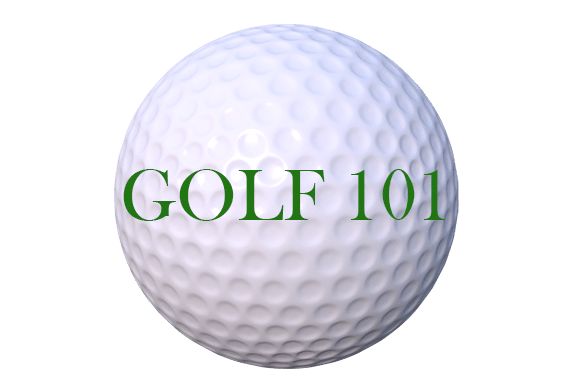 Golf Games: Four Ball, Foursomes and Match Play is one of a series of articles for beginners to the game of golf. Thanks for these informative posts. I always learn something new!